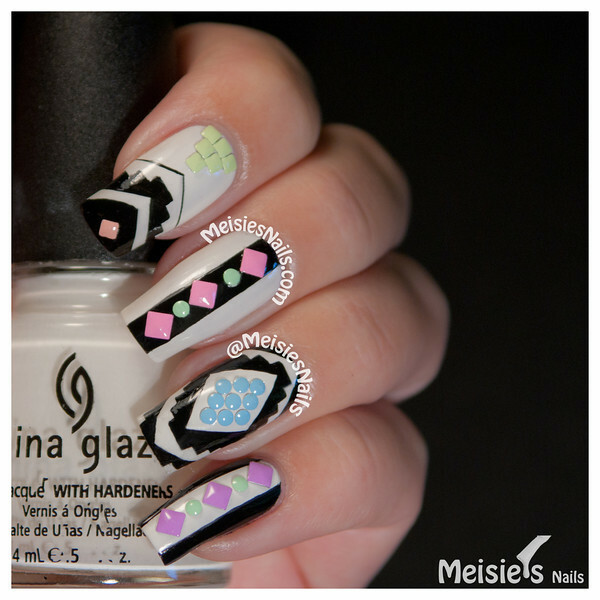 I'd like to show you two more nail art items I received from Born Pretty Store for review. 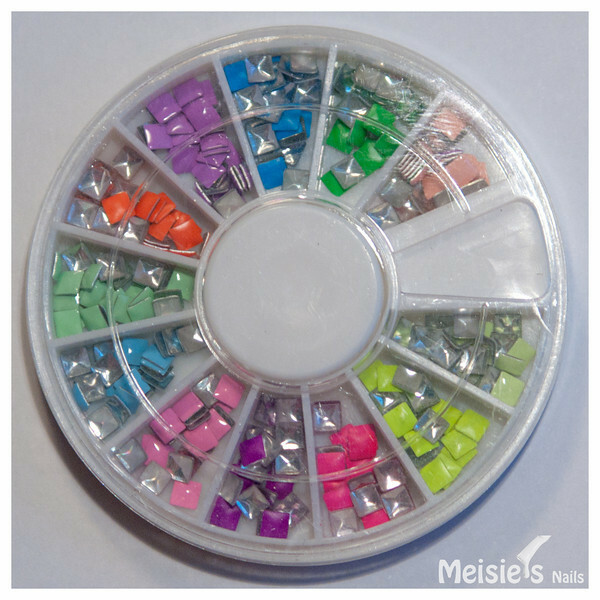 The first item is this awesome wheel containing approximately 400 pieces of 2mm studs in 6 pastel colors and 2 different shapes: squares and rounds. The 2nd item is this other wheel containing only 3mm square studs in 12 different pastel and neon shades. There are approximately 260 pieces in this wheel. These studs are pretty awesome and there's a multitude of designs you can create with them! The application is simple! 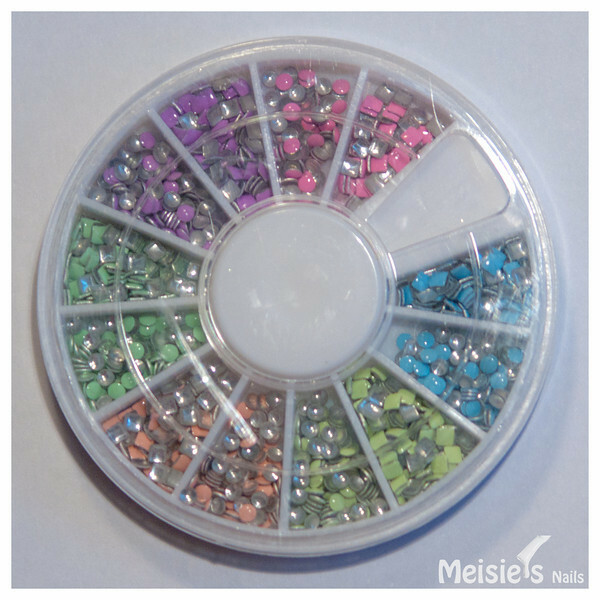 Just as with rhinestones, you simply add some clear polish or topcoat on your nail and place the studs with the help of a dotting tool or any other tool of your choice. I personally don't like applying top coat over the studs. So I just make sure the studs are properly attached to my nails and I leave them just like that. These studs can be purchased at BornPrettyStore.com for $7.59 each wheel. Besides, they offer FREE WORLDWIDE shipping! If you use my coupon code AA7J61 you get a 10% off of your entire purchase!